On January 16, 2019, the Compensation Committee (the “Compensation Committee”) of the Board of Directors (the “Board”) of Yelp Inc. (the “Company”), to the authority delegated to it by the Board, approved compensation arrangements for the Company’s named executive officers (as defined in Item 402(a)(3) of Regulation S-K promulgated by the Securities and Exchange Commission (collectively, the “Executive Officers”)). The Compensation Committee approved annual base salaries for each of the Executive Officers as set forth in the table below, to be effective from January 1, 2019. The Compensation Committee determined not to make a change at this time to the annual base salary of Jeremy Stoppelman, the Company’s Chief Executive Officer. The Compensation Committee approved the grant of performance-based restricted stock units covering shares of the Company’s common stock (“Performance Awards”) to the Executive Officers. The grant date of the Performance Awards will be February 7, 2019 and the number of shares of the Company’s common stock subject to the Performance Awards will be determined as follows: (a) the dollar value of each Performance Award as set forth in the table below, divided by (b) the closing price of the Company’s common stock as quoted on the New York Stock Exchange on the grant date (the “Grant Date Closing Price”), (c) rounded up to the nearest whole share. The Performance Awards will be granted to, and in accordance with, the terms and conditions of the Company’s 2012 Equity Incentive Plan, as amended (the “Plan”), as well as a Performance Award Agreement and Grant Notice, the forms of which will be approved at a later date. The Performance Awards are subject to both a performance goal and a time-based vesting schedule. The shares underlying each Performance Award will be eligible to vest only if the average closing price of the Company’s common stock equals or exceeds 125% of the Grant Date Closing Price over any 60-trading day period during the four years following the Grant Date (the “Performance Goal”). If the Performance Goal is met, the shares underlying each Performance Award will vest quarterly over four years from the grant date, subject to the applicable Executive Officer’s continued services as of each such vesting date (the “Time-Based Vesting Schedule”). Any shares subject to the Performance Awards that have met the Time-Based Vesting Schedule at the time the Performance Goal is achieved will fully vest as of such date, provided that the applicable Executive Officer is providing services to the Company at such time. Thereafter, any remaining unvested shares subject to the Performance Awards will continue vesting solely according to the Time-Based Vesting Schedule, subject to the continuous service requirement. The Compensation Committee also approved the grant of (a) options to purchase shares of the Company’s common stock (the “Options”) and (b) restricted stock units covering shares of the Company’s common stock (the “RSUs,” and together with the Options, the “Equity Awards”) to the Executive Officers. The grant date of the Equity Awards will be February 7, 2019. The number of shares of the Company’s common stock subject to each Option will be determined as follows: (a) the dollar value of each Option as set forth in the table below, divided by (b) the fair value of an option on the grant date using the Black-Scholes-Merton option valuation model, (c) rounded up to the nearest multiple of 50. The number of shares of the Company’s common stock subject to each RSU will be determined by dividing the dollar value of each RSU as set forth in the table below by the Grant Date Closing Price, rounded up to the nearest whole share. The Equity Awards will be granted to, and in accordance with, the terms and conditions of the Plan, the forms of Option Agreement and Grant Notice (together, the “Option Agreements”) and forms of RSU Agreement and Grant Notice (together, the “RSU Agreements”) previously filed with the Securities and Exchange Commission. 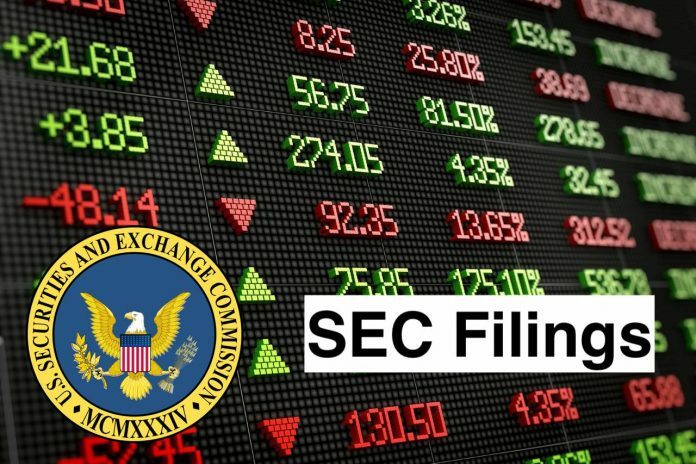 Each option will have an exercise price equal to the Grant Date Closing Price, which represents the fair market value of the Company’s common stock on the grant date as determined under the terms of the Plan. Each Option will have a term of 10 years from the date of grant. The shares underlying this Option will vest in equal monthly installments over four years from the grant date, provided that such Executive Officer is providing services to the Company at the time of each such vesting. The shares subject to this RSU will vest in equal quarterly installments over four years from the grant date, provided that such Executive Officer is providing services to the Company at the time of each such vesting. On January 18, 2019, following the recommendation of the Compensation Committee, the Board adopted a Policy for Recoupment of Incentive Compensation (the “Clawback Policy”), a copy of which is filed as Exhibit 99.1 to this Current Report on Form 8-K. The Clawback Policy requires the Company to seek to recover certain incentive compensation from a current or former officer of the Company who is (or was at the relevant time) subject to Section 16 of the Securities Exchange Act of 1934, as amended (an “Affected Officer”), if: (a) the Company is required to prepare an accounting restatement for any fiscal period commencing after the adoption of the Clawback Policy due to material non-compliance with any financial reporting requirement and (b) it is determined that fraud, gross negligence or intentional misconduct by such Affected Officer contributed to the non-compliance underlying the restatement. per share reflecting the restated results, as determined in the discretion of the Board (provided that the aggregate sale proceeds determined by the Board may not be less than the aggregate exercise price paid for the shares). When the SEC adopts final clawback policy rules under the Dodd-Frank Wall Street Reform and Consumer Protection Act, the Company will review and may revise the Clawback Policy to the extent required to comply with such rules. The foregoing is only a brief description of the material terms of the Performance Awards, Options, RSUs and Clawback Policy, does not purport to be complete and is qualified in its entirety by reference to the Plan, Option Agreements, RSU Agreements and Clawback Policy. In addition, the Company expects to file the form of Performance Award Agreement and Grant Notice with its Quarterly Report on Form 10-Q for the quarter ending March 31, 2019. Yelp Inc. (Yelp) connects people with local businesses by bringing word of mouth online and providing a platform for businesses and consumers to engage and transact. The Company provides local business review sites. Yelp provides a platform for consumers to share their everyday local business experiences, through reviews, tips, photos and videos, and engages directly with businesses, through reviews, phone calls and its Message the Business feature. Its platform also provides businesses of all sizes with a range of free and paid services that help them engage with consumers. The Company has a range of communities of contributors across the world that contributes the content on its platform. These contributors provide firsthand information about local businesses in the form of reviews and ratings, tips, photos and videos. The Company has Yelp communities in Argentina, Australia, Austria, Belgium, Brazil, Canada, Switzerland, Taiwan, Turkey, the United Kingdom and the United States.